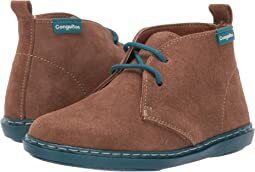 Conguitos® is a valued brand in the sector of children’s apparel and footwear. The brand was born to care for the feet of toddlers and infants, guiding their first steps in a safe manner and total confidence. In 2012 they launched their first kids wear line made of unique pieces designed and made in Spain with quality materials. Conguitos created the Goflex technology which is a new standard of comfort and safety which ensures a flexible system, anti-torsion power, and shock absorption. Comfort and style are what Conguitos has in mind when creating a product for their customers. 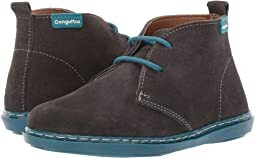 They are one of the top reference brands worldwide in the sector of children’s footwear and apparel. Today, Conguitos is represented in over 30 Countries, including Europe, America, and Asia. Transparency, confidence, and security are the values that inspire Conguitos’ philosophy. Their products are developed with love, sense of responsibility and a commitment to make life easier for parents and children. This was an experiment in buying a sale item I normally wouldn’t have. They’re not real leather, nor are they a brand I knew, but they ended up being a very cute, inexpensive special occasion shoe for my 5-year-old daughter. They were somewhat larger and wider than I expected but fit well enough to keep and she can wear them right away. Very well made. In my opinion, better than Converse. If you usually purchase European size 33, buy 32. These are really nice shoes. Well made. My girls loved these shoes. Bought them for a hip hop dance recital, but the girls like them so much, we will definitely get a lot of wear out them. Looks cute with all different outfits!